DED provides a state and local sales tax exemption on tangible personal property leased by the Company from the City/County. 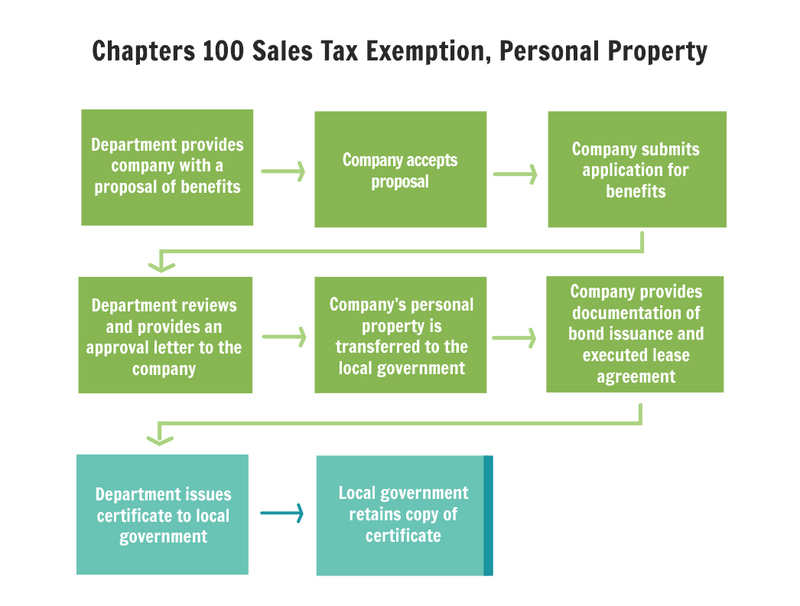 Most of the benefits derived from the use of Chapter 100 property and sales tax exemptions are derived from processes that occur at the local municipality level. Under Chapter 100 the facility, construction materials and certain tangible personal property may be purchased tax exempt by the City/County and then leased back to the Company. That tax exempt status extends to both state and local sales tax and local property tax. The City or County is using its own tax exempt status to extend to the purchase and ownership of certain real property, construction materials, and tangible personal property in order to provide a lower cost benefit to a business locating or expanding in its community. That benefit may be derived through an exemption of local property taxes and/or state and local sales taxes for an established period of time. DED’s function within the Chapter 100 process is to offer an exemption of the sales tax that would otherwise be applied to the “lease” of specific tangible personal property executed by the Municipality to the Company as part of their Chapter 100 project. The City’s/County’s authority for the exemption of certain sales taxes and property taxes rests in the purchase and ownership. Section 144.054, RSMo, of the state statute recognizes that additional state and local sales tax application to the tangible personal property leased back to the Company, and provides a further benefit opportunity to exempt the tax only with permission of DED. Cities and Counties may apply to DED on behalf of Companies for which Chapter 100 bond proceeds are used to purchase tangible personal property used in the process or production which is leased back to the Company. 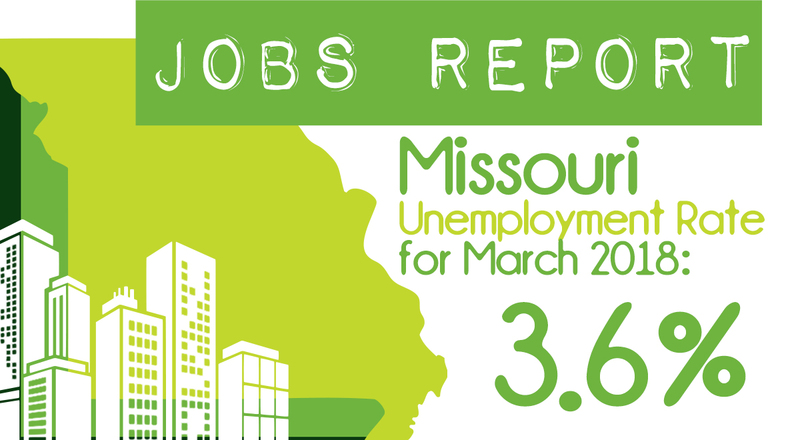 Eligible companies include: manufacturing, warehousing, distribution, office, research and development, agricultural processing and services in interstate commerce. Services in interstate commerce are defined with a very narrow definition. Retail and services in intrastate commerce are not eligible.